The right advisor can have a greater impact on the success of your small business than any other hire you ever make. It’s time small businesses started hiring more advisors. There is no better return on investment that you can make – you can pay them on a quarterly or annual fee for a mere fraction of what their normal salary would be. Executives interested in advisory roles often want the experience, intellectual stimulation, and opportunity to put advisory work on their resume as much as they want the compensation. Most executives are allowed to do this alongside of their current job because it falls in the “Board of Directors/Advisory Board” category of professional opportunities, and the time commitment is usually only quarterly calls and occasional emails. There are truly endless ways advisors can help your company. Think about a particular challenge or opportunity your company is currently facing – how could someone with deep industry or position-specific expertise help? What about the amount of money you are currently paying consultants? Wouldn’t that money would be better spent on someone currently “in the trenches,” not a professional consultant (and an advisor is usually a fraction of the cost). And just to mention it again – these senior executives want the experience – they want to help you and your company to show other companies how they would be a good advisor or board member as well. Identify the type of executives who could add the most value as an advisor – a certain position (CEO, CFO, CTO, CMO, Sales), an important local executive, a “big company” executive in your industry, or even someone with specific connections that would be beneficial to your small business. Send them a brief email expressing your interest in having them as an advisor and asking for a brief phone call to explore the potential fit. In the call, see what experience they have had being an advisor, how familiar they are with your industry, challenges and opportunities they could help with, and how they could add immediate value to your small business. Compensation can be very simple and not as much as you think, as many executives are just as interested in the intellectual stimulation as much as the compensation. It can be a per meeting fee, a small equity piece, or any other arrangement, and remember, you can cancel this at any time. Conduct quarterly meetings via conference call – usually 1-2 hours, circulate an agenda ahead of time, and you’ll be amazed at the impact these calls can have on helping your small business achieve new levels of success. You’ll be amazed at the caliber of executives just waiting out there to advise your small business. Aren’t you curious who would be interested, and what they could help your small business achieve? Learn more about ExecRank and how they help companies of all sizes find board members and advisors at no cost. 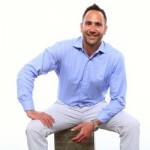 Over the past 15 years, Jonathan Aspatore’s experience in founding two of the leading executive development companies led to the understanding of a need for a business that connects companies with executives looking for board and advisory roles.While serving as CEO of ExecRank, Jonathan also owns numerous other companies that are a part of Verb Ventures. ExecRank now serves companies and executives in 124 industries, 12 countries, and 1000s of startups, small businesses, private and public companies.